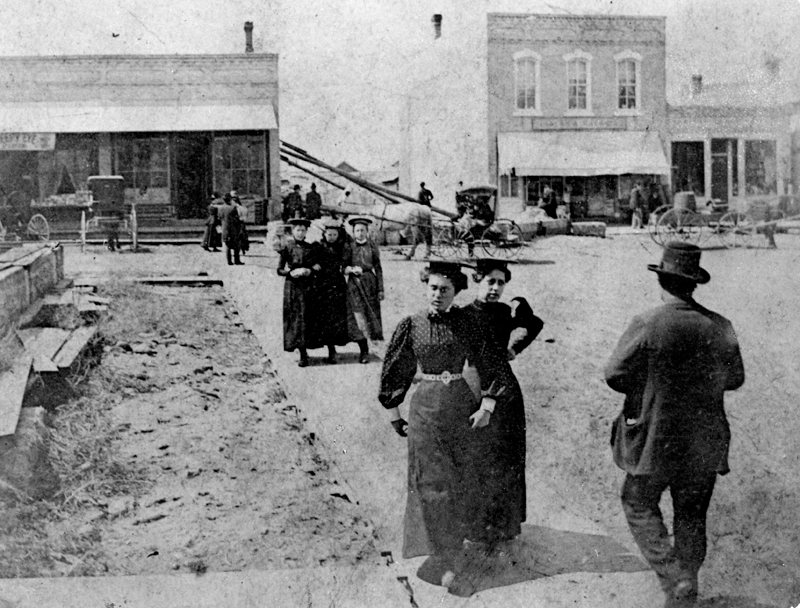 This is a very early view of the downtown area (before 1898). The building on the right with the awning is the Powers and Wackman store and is now part of Charlie’s Restaurant. The area adjacent would become the site of the Masonic Building in 1898. The man with his back turned is Norris Getts (1852-1928). He operated a wagon works with this father and later became an attorney and justice of the peace. The two young women in front are Mable Algard and Ruth Murphy.